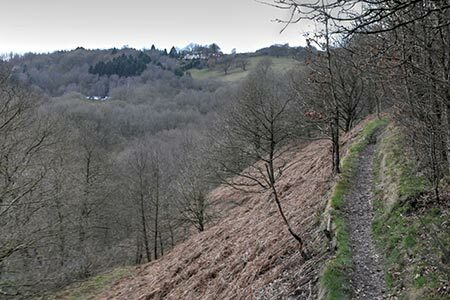 A short scenic Staffordshire Walk from the Consall Nature Park exploring a section of the Churnet Valley. The route follows well-signed paths and has some fine views. There is a steep descent down steps. A GPX File is available for download (see walk description). The County of Staffordshire is located within the Midlands. The northern part of the county includes part of the Peak District National Park featuring both Gritstone moorland of the Dark Peak and limestone dales of the White Peak. To the south the heathlands of Cannock Chase form part of an AONB. Elsewhere the county is predominantly rural with pleasant countryside and easy walking.